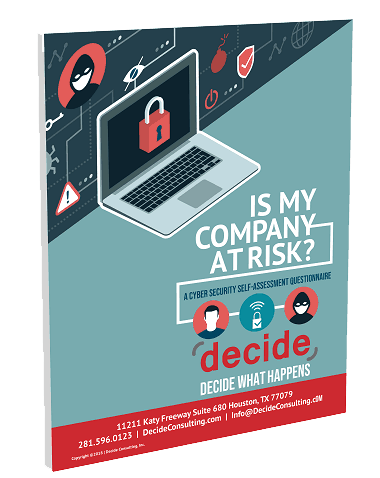 Decide Consulting’s Cyber Security Assessments deliver actionable recommendations to reduce risk, improve security and keep cyber security threats away. All companies are at risk. Thinking you have nothing of value or too small makes you more at risk. The cyber criminals may not be targeting you eventually, they may be going after your clients. 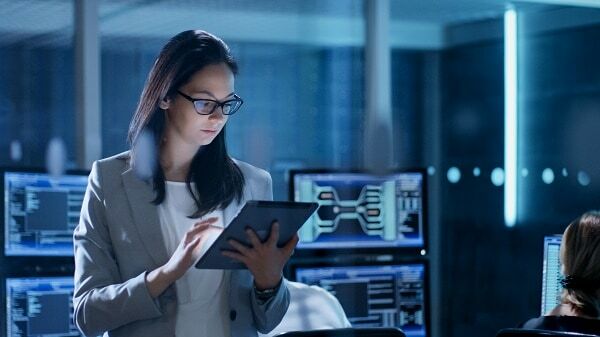 Without a proper Cyber Security Assessment, you do not have the data to know if your balance between access to systems and security controls. At Decide, we apply years of data breach and cyber security expertise to our assessments. This helps you identify potential vulnerabilities and implement the needed data breach prevention solutions to secure your data. We are ‘technology agnostic.’ This allows our focus to be solely on your Cyber Security and risk reduction. Decide’s Cyber Security team consists of career security professionals who have Cyber Security experience with the US Army, US Customs, the Texas State Guard and the FBI. We have the infrastructure background to allow them to communicate with your internal IT staff, and who can perform the in-depth diagnostics your busy IT staff does not have the bandwidth to conduct. Security assessments provide a measurable risk exposure for your organization.